on April 18th, in observance of Holy Thursday. The Society of St. Vincent de Paul is an international Catholic lay charitable organization present in 135 countries of the world. It is composed of ordinary men and women, 800,000 strong, who do incredible things not for themselves but for others. The Society is active in Europe (23 countries), Asia (27 countries), America (35 countries), Oceana (10 countries), and Africa (40 countries). Frédéric Ozanam and six friends from the University of Paris founded the Society on April 23, 1833. Under his vision, the Society provides person-to-person service to those who are in need. The Society serves all persons regardless of race, creed, color or status. Locally, the Society operates out of the Ministry Center of St. Francis de Sales in Lake Zurich. We’ve been offering our services to those in need since 1972 in the form of such services as casework and food services. 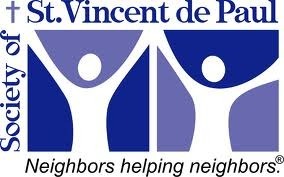 "The Society of St. Vincent de Paul offers tangible assistance to those in need on a person-to-person basis."